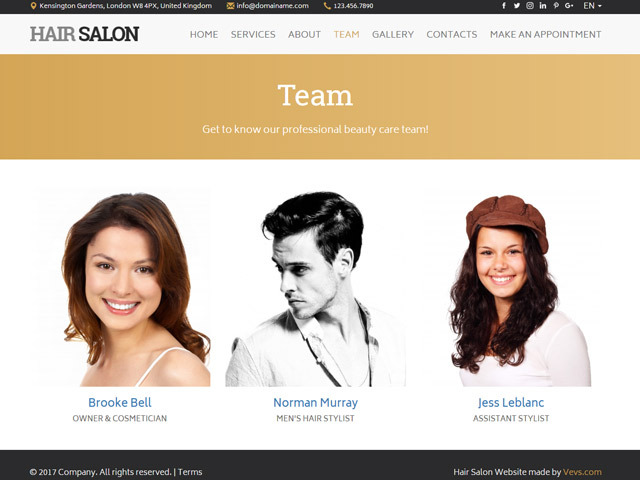 VEVS Hair and Beauty Salon Websites are mobile-friendly allowing clients to make online appointments on the go, 24x7. No need to pick up the phone and set a schedule manually! 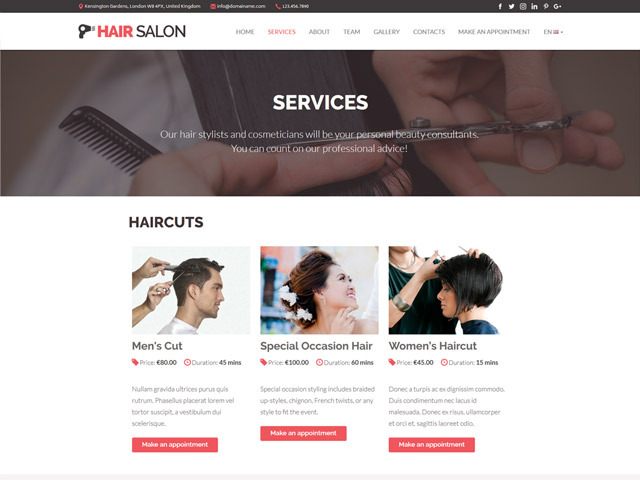 You can choose any of our stylish website templates that best matches your salon branding and request further fine-tunings. 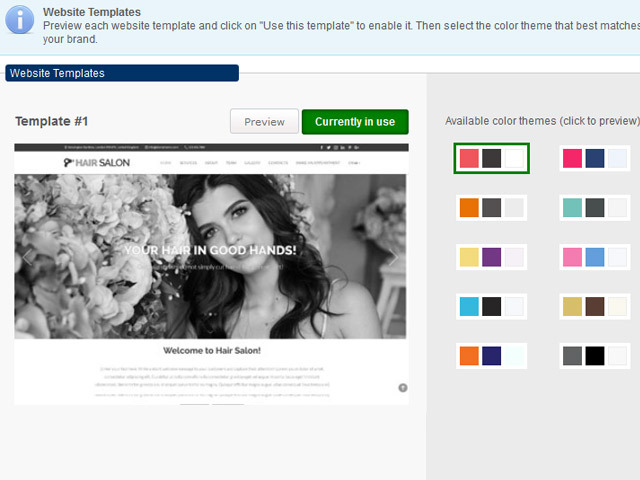 Organize your menu, make your home page flashy and welcoming and see your customer base growing! 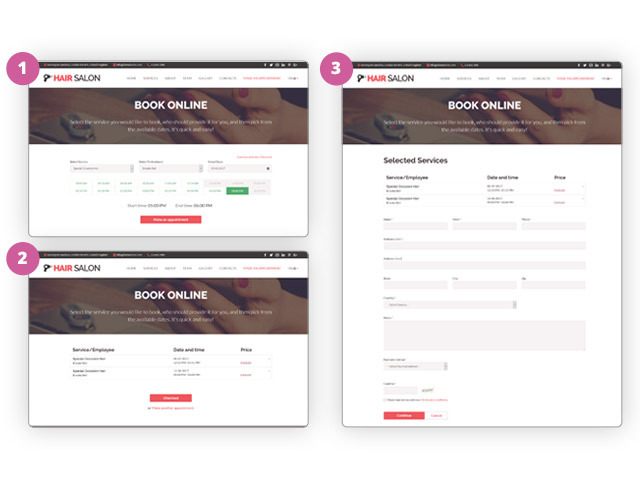 What makes VEVS beauty salon websites unique is the built-in appointment booking software enabling simple online reservations and bookings management. Add your staff members, all services offered, each service duration, as well as all relevant settings and your appointment system is ready to inscribe your clients on your behalf. You can adjust payment settings to enable or disable specific payment methods. PayPal and Authorize.Net are integrated by default. You can also request any other payment gateway. Update your customers on all new promo products, therapies, and service packages by displaying hot offers on your beauty website's home page. Add a catchy image to each offer and rest assured it will grab clients' attention on the spot! This is a great way to promote sales and foster customer loyalty. Your staff is your most valuable asset! Make them feel special by showing a short profile of each of your employees in a designated section. This will shorten the distance to customers even before they have stepped into your beauty salon.